When Should I Accept a Settlement for my Personal Injury Claim? Many people are surprised to learn that almost 97% of all personal injury claims end in a settlement of some kind, rather than a jury verdict or judge’s ruling. This staggering percentage is due to several different incentives (which we will discuss in detail below) for both the injury victim as well as the opposing insurance company. However, just because the vast majority of personal injury claims end in settlement doesn’t mean that yours necessarily has to, or especially that you should accept the first offer that is made for your personal injury claim. Here is what you need to know when it comes to the advantages of personal injury claim settlements, and how to better gauge when an offer is fair to you, when you should continue to negotiate for a better offer, or when instead you may have to rely on a jury or judge to award you the financial compensation you need and deserve for your injuries. 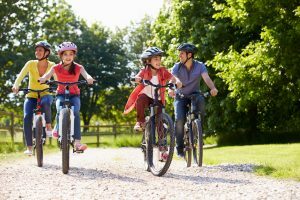 As previously mentioned, there are several different distinct benefits in settling a personal injury claim for both parties involved in the dispute. For the injury victim, recovering compensation in a timely manner can be critical to their financial stability. If their injuries leave them unable to work, or require expensive medical treatment, the cost of these factors can add up quickly. 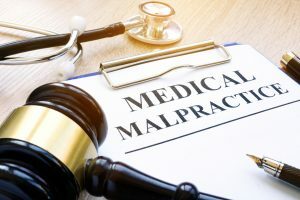 By accepting a settlement rather than spending months (if not years) in court, injury victims can much more quickly recover the financial compensation that they and their families need for the damages they have suffered. On the other hand, insurance companies are also often incentivized into resolving a personal injury claim through a settlement, rather than risking a jury verdict. A settlement is a number that they can control, something a bottom-line oriented company like an insurance company is much more inclined towards, rather than the total unknown of a jury or judge verdict. Additionally, corporate legal representation can be extremely expensive, and the longer the personal injury claim process takes, the greater an expense the insurance company will incur. So while both parties have numerous different reasons to want to settle a personal injury dispute rather than have a jury or judge settle it for them, that doesn’t mean the injury victim should accept the first settlement offer that is made by the insurance company. In fact, as a general rule of thumb, initial settlement offers are almost always lowball offers which do not accurately reflect the extent of the damages the injury victim has suffered. Evaluating the long-term implications an injury can have on your life and the lives of your family often require consultation with financial experts and medical experts, and validation of these experts findings with the opposing insurance company (all things which an experienced Morris County personal injury lawyer can provide for you). Considering the fact that once a settlement offer is accepted for a given accident and resulting injury damages, no further claim can be pursued for the same accident and injuries, it is crucial that you recover full and fair compensation the first time around, as there are no second chances when it comes to personal injury law. 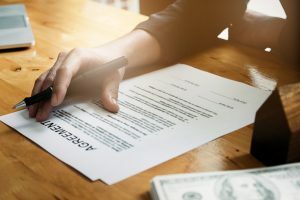 By retaining the services of an experienced attorney, you can make a much more informed and well-thought out decision when it comes to accepting a settlement offer, pursuing further negotiations, or taking your claim to trial. 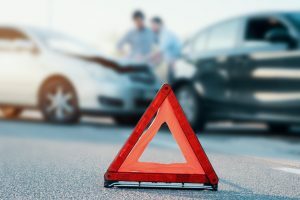 At The Law Offices of Michael P. Burakoff, we have extensive experience helping clients recover full and fair compensation for injuries resulting from accidents of all kinds, including car accidents, truck accidents, motorcycle accidents, accidents with drunk drivers, construction accidents, work-related accidents, accidents on dangerous or poorly-maintained properties, and more. Attorney Michael Burakoff strongly believes in working closely not only with his clients, but with their families as well. This is through an intimate understanding of exactly how traumatic an accident and resulting injuries can be to the lives of all the family members, not only the injury victim themselves. With offices in both Morristown and Newton, our firm is ready to provide effective, knowledgeable, and attentive legal service to clients and families in towns across Morris County and Sussex County. To speak with Michael Burakoff and our legal team today regarding your accident, your options for recovering financial compensation, and how exactly we can help you to do so, please contact us online, or through either our Morristown office or our Newton office at (973) 520-0525.